so much support from moviegoers and passersby." Every evening for the past month, you’ve been able to watch me get euthanized at the Regal Fenway Stadium 13. Not to worry, it’s my choice, and neither fantastic wealth nor mutual love with a beautiful woman dissuade me. This is the outline of the movie Me Before You, in which the audience gets plenty of laughs along the way as I—in the movie, my name is Will (Sam Claflin)—teach Louisa (Emilia Clarke), hired by my parents to cheer me up, to love life and soon enough, to love me. And when I/Will stay true to my desire to die, audiences have a good cry. Some theaters even supply patrons with Kleenex. I use the first person because it’s my disability, shared with fictional Will, that is on the chopping block. Our disability is iconic, a powerful eliciter of suicidal urgings. 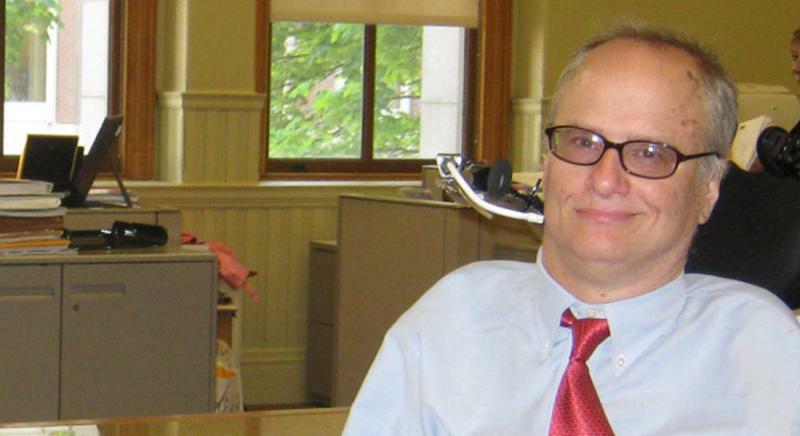 I was talking by telephone to a reporter a few months ago, trying to explain why disability rights groups oppose legalized assisted suicide, when she blurted out, “I know I would want it if I was ever paralyzed from the neck down.” She didn’t notice when I told her those words are used to describe me. Some percentage of people who see me think they would rather be dead, and a few have told me so directly. People get to have their opinions, of course, but this prejudice is broadcast again and again. So we defend our lives. 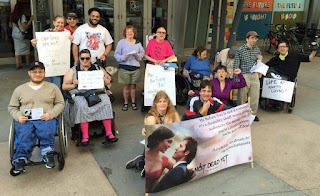 In 2005, we protested the Oscar winner for Best Picture Million Dollar Baby, which along with Best Foreign Picture The Sea Inside presented disabled characters clamoring for death. I heard that some audiences cheered when Clint Eastwood’s Frankie murdered Hilary Swank’s Maggie. I object to being told that my life is “meaningless,” and think JoJo Moyes is a bigot. Unfortunately for me and disabled people, the bigot wrote a book that sold millions and got made into a Hollywood movie. Will’s death is presented as a sacrifice of sorts, a death that gives life. Will leaves Louisa a lot of money so that she can go forth and “live boldly.” That phrase, used without irony, is the tag line of the movie. Living boldly, it seems, is for the nondisabled. Like Will, I was depressed two years after my injury, but it was the peer support and solidarity of other disabled people that got me through that time. I shudder to think of newly injured people hearing about this movie. I want them to learn, as I did, that we all have the ability to adjust to circumstances as long as we are provided with love, support, and opportunities. We disabled people proclaim that suicidal people, disabled or not, deserve the same suicide-prevention services as teenagers, the only target of most states’ anti-suicide programs.